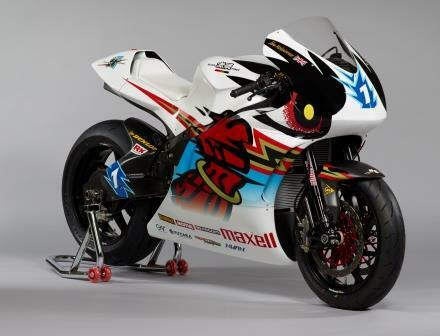 On March 27, 2015, MUGEN (M-TEC Co., Ltd., Shin NAGAOSA, President) unveiled a new machine named “SHINDEN YON” for participation at the 2015 Isle of Man TT event. 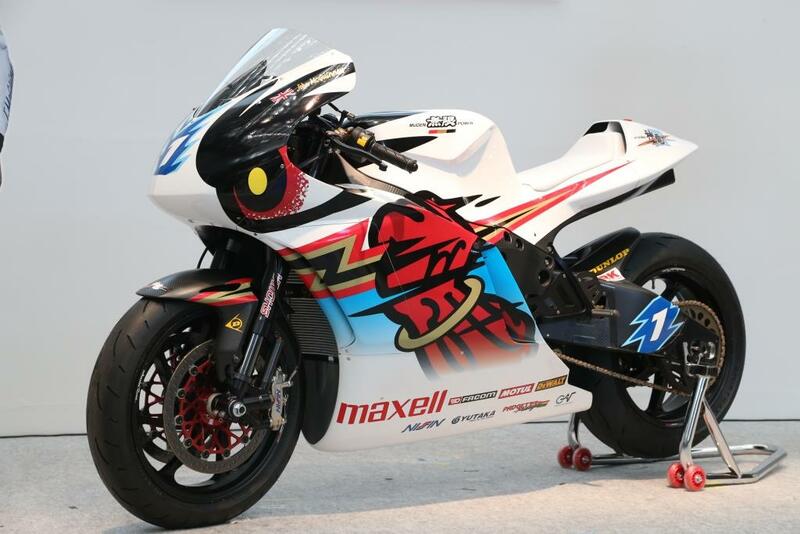 The new machine has been developed with improvements over last year’s race winner, ”SHINDEN SAN”. The energy management system has been further optimised to control battery temperatures through highly efficient cooling performance, allowing maximum power output to be increased by 10 kW (15 PS). In addition, top speed and handling have been improved by reducing air resistance and the weight of certain key components. 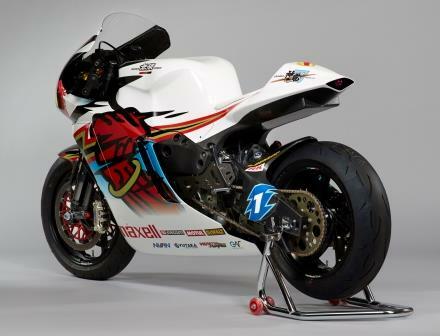 For 2015 riders John McGuinness and Bruce Anstey have been retained in an attempt to secure a second consecutive victory with “SHINDEN YON”. John McGuinness was last year’s winner of the TT Zero Challenge, bringing his total Isle of Man TT victories to 21. 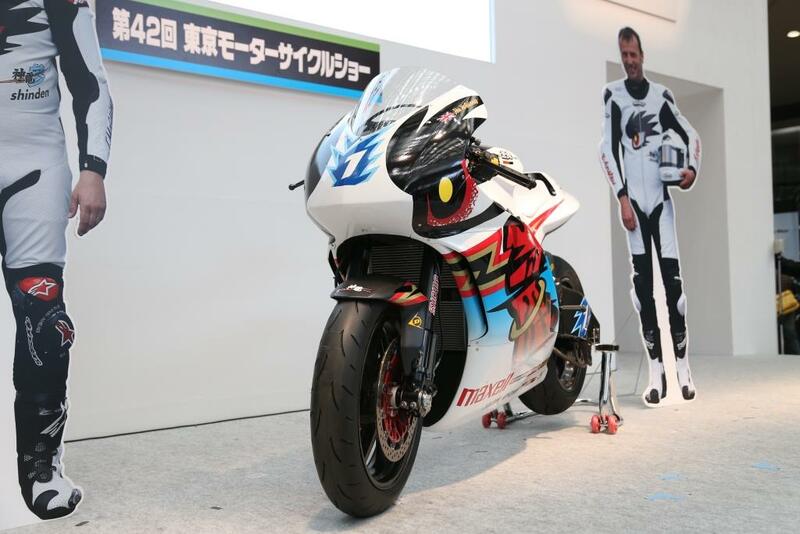 During the 2014 TT event Bruce Anstey updated the outright lap record for the Mountain Course in a time of 17:06.682, at an average speed of 132.298 mph (211.677 km/h) in the Superbike class, and was runner-up in the TT Zero Challenge.